As we did in the last years, Berlin Sightrunning opened the “season 2018” in attending the Tower Run, initiated by TuS Neukölln. 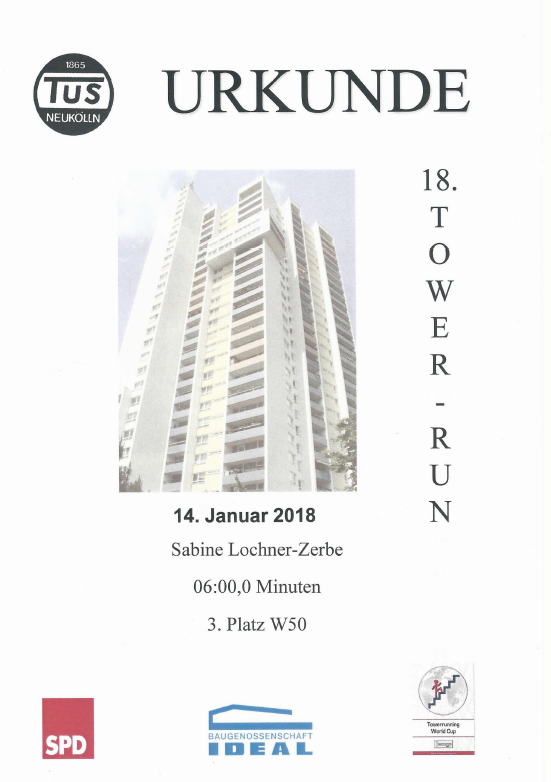 At 11 a.m. Franziska Giffey, Neukölln´s mayor, gave the starting signal for the participating women and only 6 minutes later Berlin Sightrunning reached “the top” after running 400 m and climbing 29 floors which is 465 steps! Enjoying the brillant view we celebrated the titel defence of 3rd place.